Imbue Botanicals, LLC has signed a Co-Marketing agreement with Endocanna Health, Inc. There were 701 press releases posted in the last 24 hours and 153,592 in the last 365 days. PALM SPRINGS, CA, UNITED STATES, October 16, 2018 /EINPresswire.com/ -- FOR IMMEDIATE RELEASE…Palm Springs, CA, October 11, 2018 - (Press Release Point) – Imbue Botanicals LLC, a Wyoming based company, has finalized an agreement with California-based Endocanna Health to co-market direct-to-consumer CBD products—and to co-market to one of Imbue’s major domains—the independent pharmacy arena. Imbue Botanicals offers an extensive line of premium CBD products produced from organically grown Colorado hemp, including CBD tinctures, lotions, salves and capsules, for both people and pets. 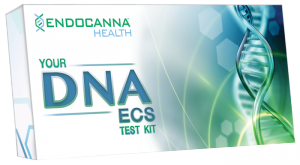 Endocanna Health is the maker of the "Cannabinoid DNA Variant Test™"—the most comprehensive personalized cannabis DNA test on the market today. Developed by a team of specialists and scientists at Endocanna Heath, a biotechnology research company, this direct-to-consumer DNA test kit analyzes an individual's DNA markers and provides them with science-backed consumer recommendations based on their specific DNA. The co-marketing agreement begins this month. Imbue Botanicals offers an extensive line of full spectrum, premium CBD products produced from organically grown Colorado hemp, including tinctures, capsules, topical CBD lotions and salves. Their premium Colorado grown hemp CBD products are non GMO, cruelty free, vegan and contain no added flavorings or sugars. Available through select retailers, their products offer exceptional quality, superb packaging and unmatched value. Imbue Botanicals, LLC Introduces equine-comfort Tincture.